Summer is here! Don’t neglect those outbuildings and garden structures. Did you ever stop to think that a property is judged by all of the structures on the premises? 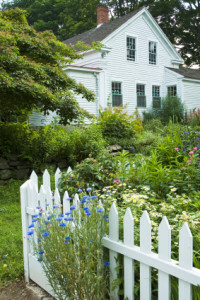 Even though the house and its landscaping may be HGTV worthy, the smaller outbuildings and garden structures should never be ignored. Otherwise, run down, broken or dirty gazebos, benches, pergolas, fences, garden sheds and outdoor showers can cast big ugly shadows on a home’s reputation. The same goes for fences and pool surroundings. Fortunately, when you contact Colour Solutions, you’ll reach the one-stop-shopping solution for such matters! Not only are we an experienced team of professional painters and stainers, we also pressure wash and make small repairs. We have discovered that some homeowners choose to ignore their outbuildings, such as pump houses and garden sheds. The school of thought is something like, “They’re doing their job, no need to draw attention to them.” Guess what? A good cleaning and a fresh coat of paint can transform these minor little buildings into a focal point! Not to mention, a bit of maintenance will extend the life of just about anything. Time to Seal the Deck! There’s no question that sealing a deck falls under the category of “big jobs.” That’s why you should leave it to the experts at Colour Solutions. 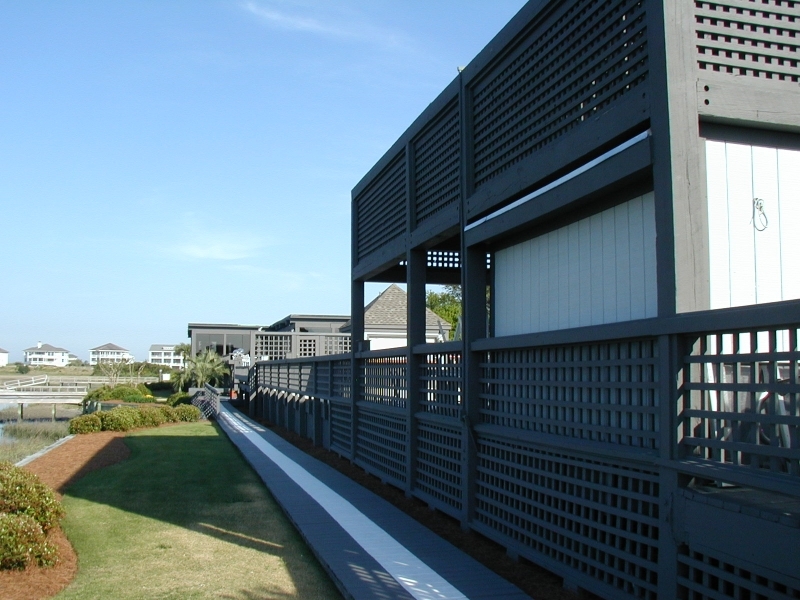 We have learned that in order to ensure the best protection for your deck, annual maintenance is key. 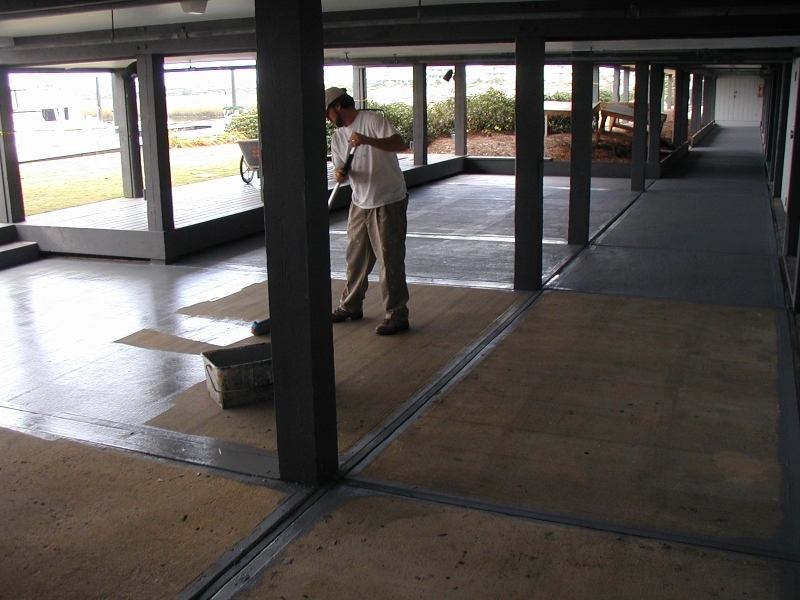 Here in southeastern NC, decks can take a beating from all that heavy rain, frozen precipitation and brutal ultraviolet rays. Unless the decking timbers are sealed each year, rapid deterioration is a danger. If you’ve been told that a good way to judge if your deck is due for a sealant is to see if water droplets bead up, sorry not true! Although some products contain paraffin wax, which does lend to beading, others such as oil-based sealers do not. The best policy is to just take care of this task annually, either each spring or at least by early summer. A bonus that comes when you use our team to seal your deck is that we’re also professional pressure washers! 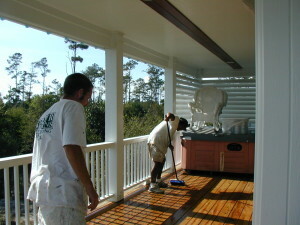 (say that 3 times fast) We use low-pressure powerwashers that will not damage the wood surface of the decking timbers. If you’ve just built a home that has a nice new deck, we suggest having it professionally sealed four weeks or more post construction. To speed up the aging process which is sometimes necessary for new wood, we would likely pressure wash your deck to remove any glazes or treatments that were applied at the mill. 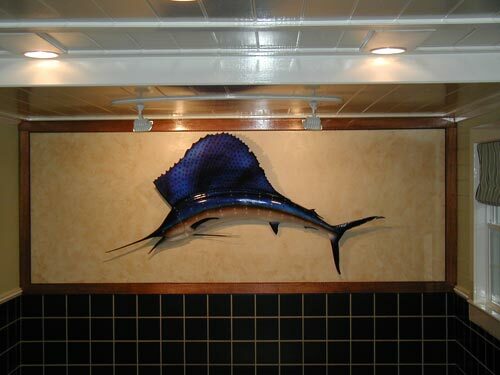 Along with sealing, of course we can handle any type of accompanying paint or stain job. Many coastal homeowners love the look of white painted trim and natural, but sealed, decking. 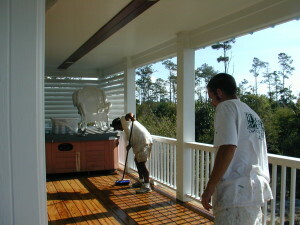 Another popular look for decks today involves using stain on the railings and a sealer on the floor. 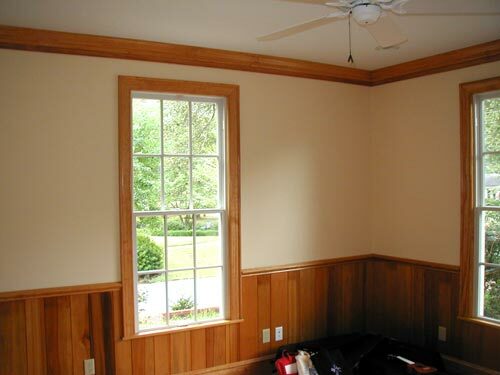 The stain is usually tinted to match the trim of your house. We’d love to work with you and get your deck in the best shape possible! There are plenty of seasoned homeowners out there who have their homes pressure washed on an annual basis. They have recognized the amazing results this quick and cost-effective procedure delivers. In addition to cleaning up a home’s exterior, pressure washing can make decks, porches, patios, walkways, and driveways look like new! Many homeowners put off having their residences professionally pressure washed because they are afraid that doing so will cause the paint to pop off here and there. They worry that in turn; they may have to paint the entire place. In fact, we have had customers who contracted us for pressure washing in anticipation that afterwards, their home would be in need of an exterior paint job. Imagine their delight when after the Colour Solutions team washed away a year’s worth of dirt and mildew, the existing paint looked great! Fences and gates – Exposed to the elements, they take a beating and are not the easiest things to clean, until you call Colour Solutions’ pressure washing team! 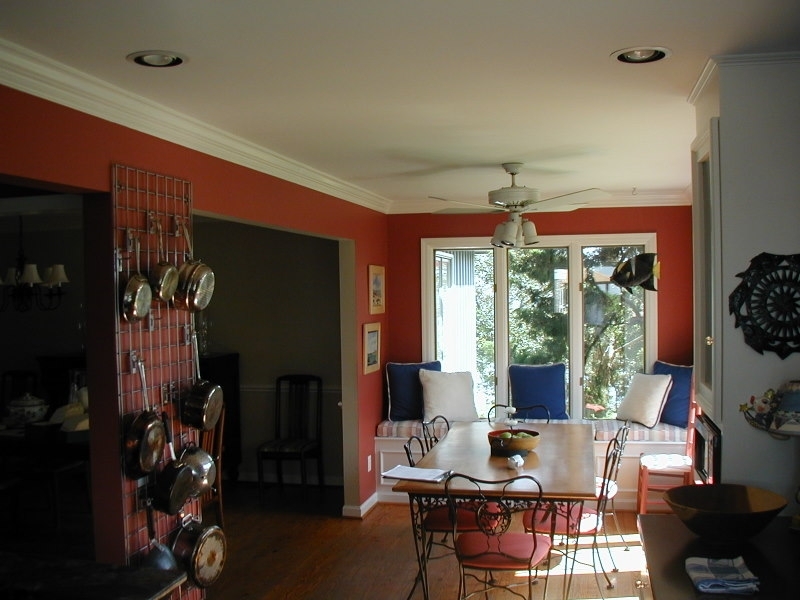 Porch ceiling s- These tend to gather cobwebs, mildew, and dust. Who wants to look at that all spring and summer? Patio/deck furniture – Oh yes we can and what a difference you’ll see! Front steps/stoops/deck steps – Because steps and stoops are also exposed directly to the elements, they can get filthy in a hurry. Excessive moisture can contribute to the growth of mildew and sometimes moss, which are very slippery and dangerous when wet. Why not let us blast it away? Foundations – When the foundation is not looking its best, it casts a dreary shadow on the entire home. Pressure washing is the perfect solution for every type of foundation out there, including, brick, stone, wood, and stucco. We like to think that no job is too big or too small. 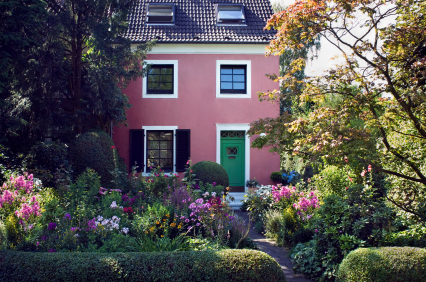 As part of your spring cleaning, please give your home the critical eye and decide if a visit from the Colour Solutions pressure washing crew is in order! 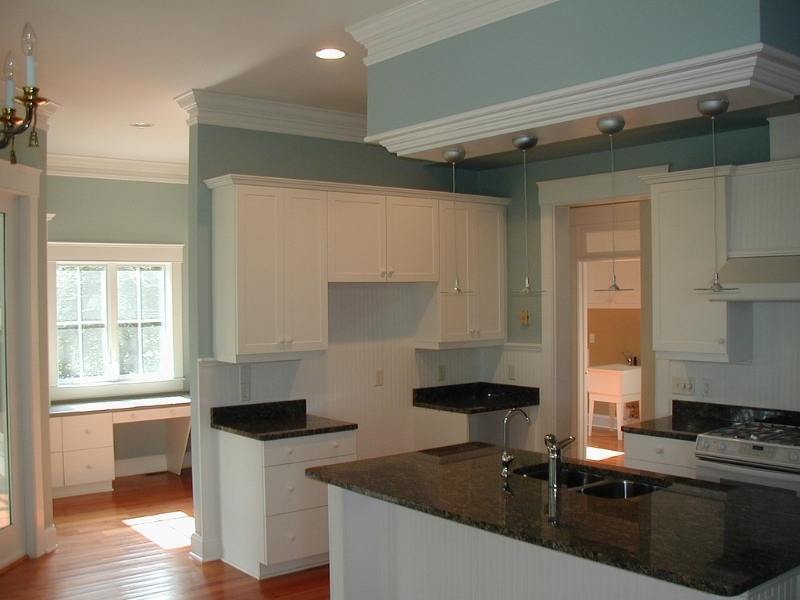 Just give us a call for a free estimate: 910-686-3067! It’s Time to Wash Winter Grime Away! Excessive moisture may cause mold, mildew, and rot. 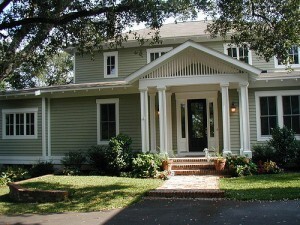 A home’s siding, trim, and foundation can suffer from too much moisture. The freeze/thaw cycle causes expansion and contraction of numerous building components and an increased amount of wear and tear. Wind gusts of 20mph + (we had plenty of those!) wreak havoc on the roof and fill gutters with debris at an accelerated rate. Gutter cleaning – Are your gutters full of leaves, pine cones, and small sticks? They cannot possibly be effective until they are thoroughly cleaned out. 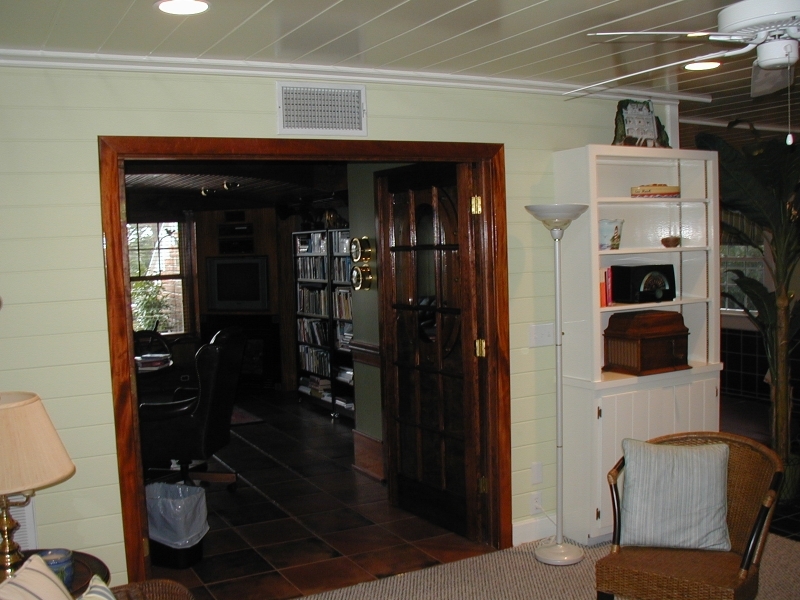 Small carpentry jobs – Do you have warped planks on the deck, loose trim, or missing pieces of siding? Perhaps you have discovered a little wood rot or moisture damage? The time to address such issues is now before they lead to bigger headaches. Fence cleaning and painting -Is your once lovely fence stained or showing signs of mildew? We can restore it back to fresh and new! Pressure washing – Whether your home is dingy from months of yucky weather or it’s time for an exterior paint job, nothing does the trick like pressure washing! Of course you had rather be spending these gorgeous spring days in the garden, at the park, at the beach, or on the golf course. Guess what? There’s plenty of time for doing the things you enjoy most when you allow Colour Solutions to handle the big jobs! As we celebrate the beginning of a new year, many of us reflect on ways we can improve ourselves and our surroundings. If sprucing up your home or commercial property is one of your resolutions for 2014, a thorough pressure washing is an excellent way to get started! Pressure washing can achieve amazing results and make a home or office really sparkle. In addition to removing dirt, grime and mildew, a pressurized wash is a must for those considering an exterior paint job. In fact, the process can kill two birds with one stone by completely prepping the exterior and lifting off loose or chipped paint, as well as dirt. 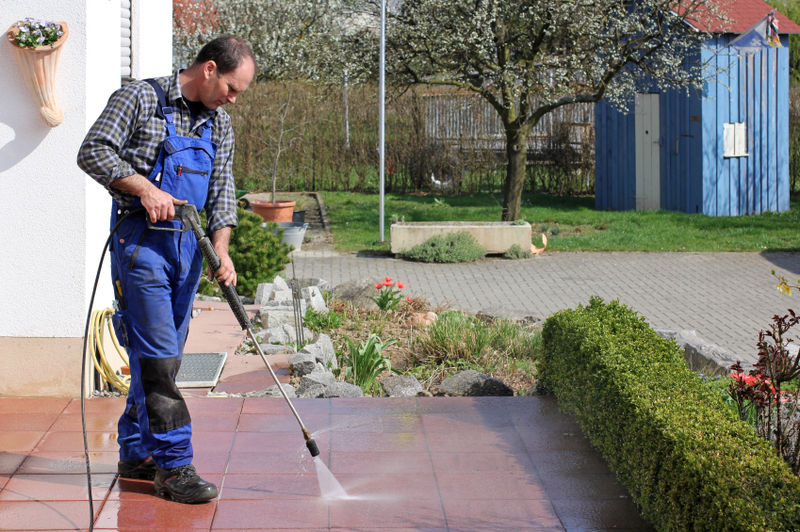 Practically any surface can benefit from a professional pressure washing. We are also able to do low pressure washing, which is ideal for many commercial settings. Surfaces such as vinyl and aluminum, respond very well to a lower pressure wash down. In southeastern North Carolina, we are fortunate to have mild winters and early springs. March and April are truly just around the corner, which is why it’s never too early to plan ahead. To learn more about pressure washing, make an appointment for a free estimate, or discover our full line of painting and repair services, please call us at 910-686-3067. Spring flowers bring pollen…and lots of it. This is a great time of year to schedule pressure washing for your home with Color Solutions, and get your home looking its best. In addition to that yellow film of pollen, pressure washing will remove dirt, mildew, and other grime from your home’s siding, windows, decks, and porches. Pressure washing doesn’t just improve the look of your home, it protects the siding and finish by clearing away mildew that can cause serious damage if left year after year. Your paint or siding will last longer when regularly cleaned. Other items looking a little grungy after winter? Ask about pressure washing fencing, outdoor furniture, or planters. Are your gutters filled with live oak leaves, pine straw, pine cones, or other debris? Let Colour Solutions clean them out so the water can flow freely and drain where intended during the Spring and Summer storm season. Gutter cleaning will keep your home cleaner and benefit your landscaping which can suffer when rain runs off in unexpected areas. 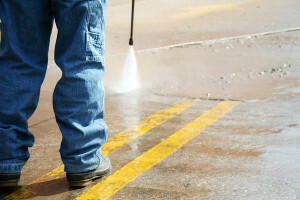 Concrete Cleaning – Removes dirt and stains from driveways, sidewalks, and other concrete areas. 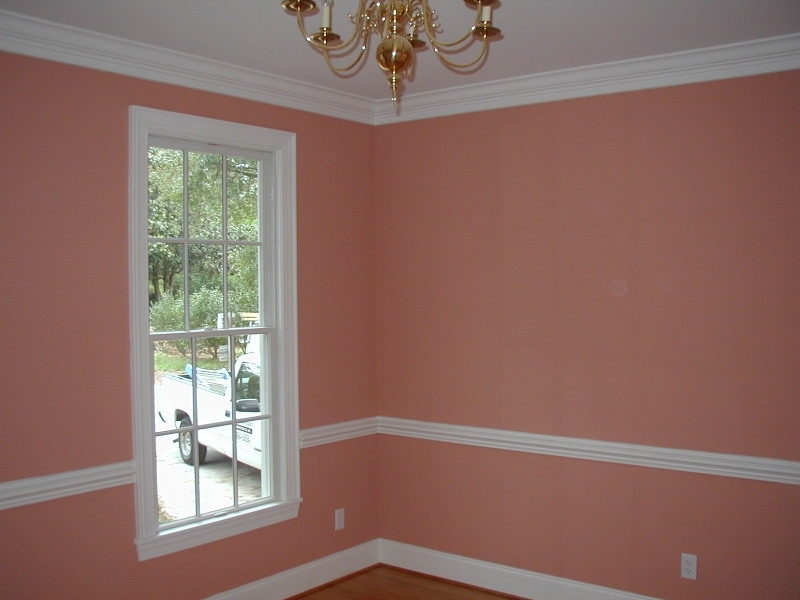 Interior Painting – Touch up scuffs and marks on walls, or bring new life to a room with a full repaint. 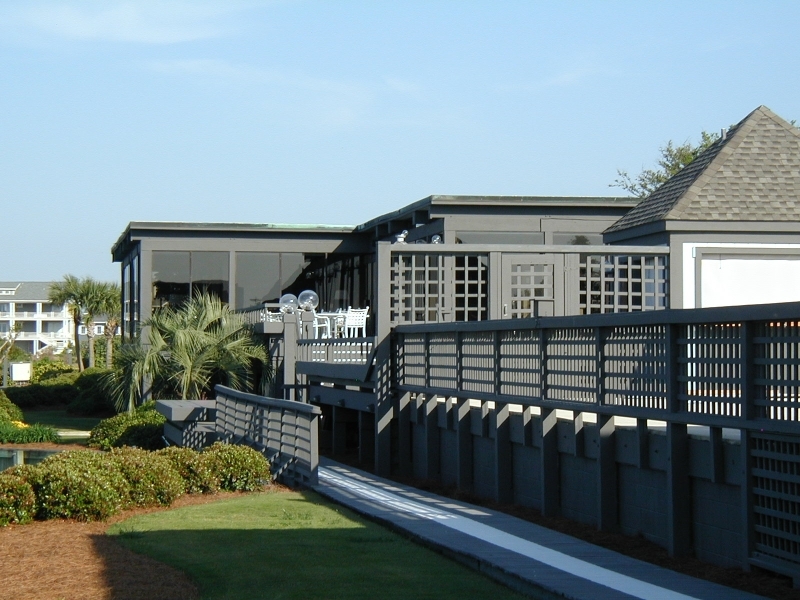 Deck Refinishing – Be ready for summer cookouts with a newly refinished deck. 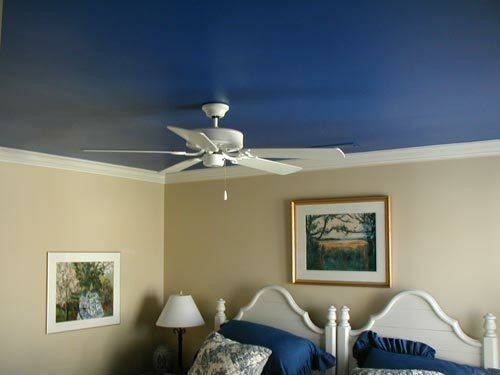 Give us a call at 910-686-3067 or request a free estimate online.